Genealogy Tips From NGS 2017 Family History Conference – Part 2 | Are You My Cousin? Day 3 of the NGS 2017 Family History Conference and I have switched to my running shoes! (Read that as comfy shoes.) That just means I am making tracks to see and talk to as many genealogy folks as I can. Roller skates might be helpful…..
More Genealogy Tips and Gleanings…….. This is a hodgepodge of tips thoughts, and impressions of the conference so far. This is a theme I am hearing woven throughout lectures and conversations each day. 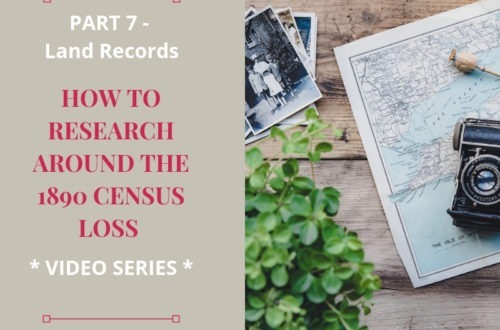 Essentially, before you dive into researching an ancestor, learn what records exist for their time and place. Learn the culture of the time. Otherwise you could end up searching for a record that never existed! Take the time you need to on the front end of your research ensure an efficient research effort. Turn off your computer. Explore the heritage centers, museums and local libraries where you ancestors lived. At the very least, call and talk to them! Often small local repositories have records found no where else. Did your ancestors live in a burned county? Local heritage centers and museums have exhibits and information pertinent to your research. A couple of readers asked about the best types of scanners to use when digitizing older family photographs. I talked to the experts at Preserving Your Heritage to get the answer: For your precious older and heirloom photographs, a flatbed scanner is best. Do you try to scan these photographs by running them through a scanner. I use my flatbed scanner at home. The Flip-Pal Mobile scanner is a nice option, especially for research on-the-go. The FamilySearch booth here at the NGS conference has some very creative and unique ways to share the genealogy and family history we uncover. Because, really, no one else in our family wants to wade through all of the dates and details we find. They want the short version. 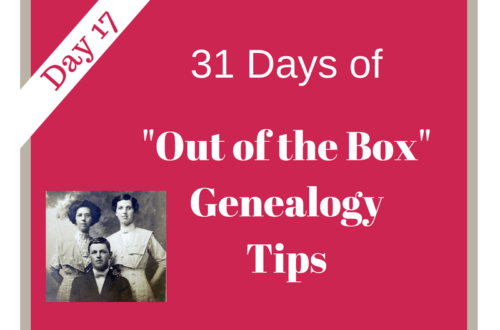 We, as genealogists, want to pique their interest to they ask more questions. Take a look at this FamilySearch Pinterest board. They are displaying many of these ideas here at the conference! They are fabulous….and doable. We’ve circled back again – Go Local. I discovered an excellent resource from the Norfolk Public Library in the vendor hall this morning: Research Guide: African American Community in Norfolk and Virginia. This gem is 4 pages of resources specific to the African American communtiy! A quick perusal the the NPL site reveals other genealogy guides as well. If you do not have ancestors from the Norfolk, VA area, that’s no problem. The Sargeant Memorial Collection has records from other parts of VA and neighboring states. This is one site I plan to explore more (one the conference is over).Take some time to explore these links . I’m on the lookout for more tips here at the conference! While you explore these ideas and links, I’m on the lookout for more! Genealogy Tips From NGS 2017 Family History Conference – Part 3 | Are You My Cousin?